Animal Cage Twin Grill are provided with a stainless steel grill at the bottom of the cage to provide a clean surface for the species to move on. 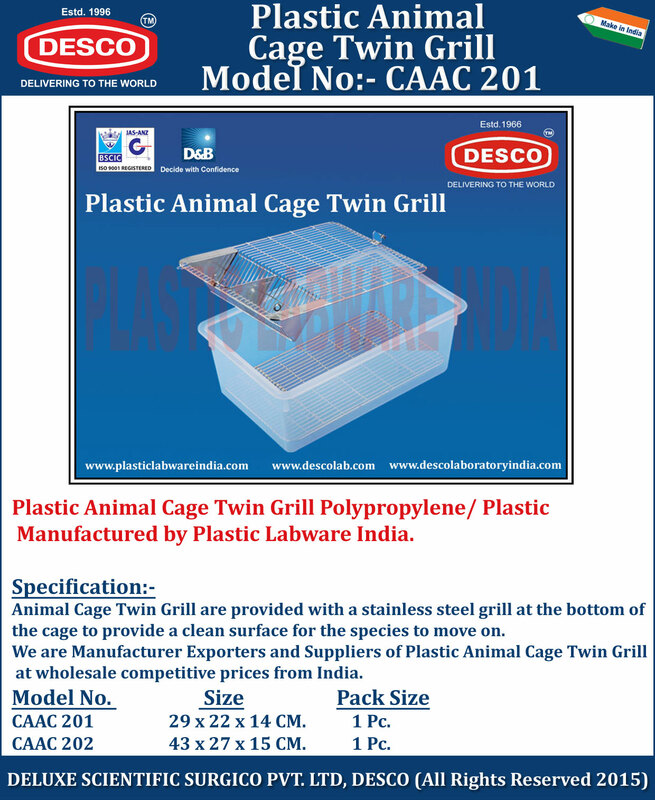 We are Manufacturer Exporters and Suppliers of Plastic Animal Cage Twin Grill at wholesale competitive prices from India. CAAC 201 29 x 22 x 14 CM 1 Pc. CAAC 202 43 x 27 x 15 CM 1 Pc.